At the law firm of Johnston, Moore & Thompson in Huntsville, Alabama, we focus on personal injury law. We strongly believe that our clients in Huntsville, Madison County, and throughout North Alabama deserve maximum compensation for their injuries and the full benefits to which they are entitled. We therefore do not merely settle claims; we strenuously advocate for our clients. In addition, we also compassionately represent grieving families in wrongful death claims. Our firm's attorneys are entirely dedicated to the needs, interests and goals of our clients. We have built our reputation on providing superior client service. We respond quickly to questions and concerns while never sacrificing thoroughness. We also are honest and upfront about our representation. On those rare occasions when we feel we cannot devote the time and resources necessary to properly attend to a potential client's matter, we say so. We know that results count in the practice of personal injury law. We are proud of our law firm's history of obtaining millions of dollars for our clients through settlements and verdicts. We also are proud of the many referrals we have received from satisfied clients who appreciate our hard work on their behalf. 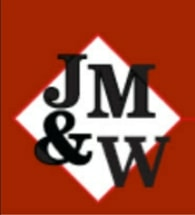 Johnston, Moore & Thompson offers free initial consultations and accepts credit cards. Our personal injury clients never pay a fee unless and until we win compensation for them.